TSG with European Tour Legend and all round good Guy Mark Mouland. a big GATOR, be careful MARK if hes about. 2010 was a great year for tsg featuring my round the world Trip, considerable success on the fairways but more than that meeting some exceptional people along the way. THANK YOU to everyone for making this year so special and in many ways completing my transition from stroke victim to stroke survivor. 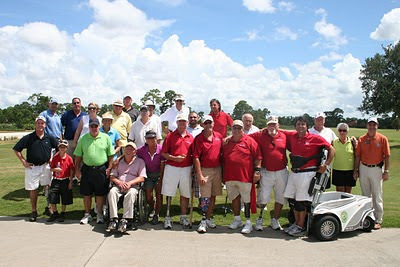 A Highlight of the year my defence of the FLORIDA DIASABILITIES OPEN, Unsuccesful but totally rewarding. I visited in 2010, Singapore, Australia, New Zealand, Hawaii, Vancouver, Califrnia, Vegas, Fllorida, Spain, Tenerife not bad for someone 4 years ago told he would never walk again. Competively..... The TSG Team ( thanks Roger, Skitty, Rich and Clive ) won THE SHOW AM Classic, The Frank Worthington CLASSIC and finished 2nd on Countback at the British Par 3. Finished Runner up twice on Tour in Florida but ended up leading player at Nationals finishing 29th..
2010 saw the first SOCIAL GOLFER OPEN at Hever Castle, were tsg finished 5th in my own event. My Weapons of Mass Destruction are now away till 2011 when i sincerely hope to meet up again with many of my great SGs around the Globe. Stunning Oyster Reef were the last round was played. 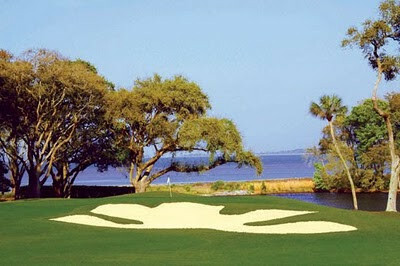 I returned to Hilton Head representing Orlando in the 2010 finals determined to improve on my 47th place in 2009. 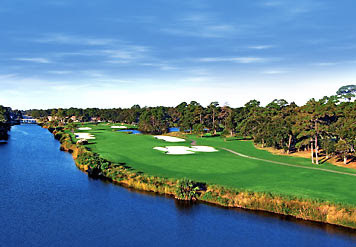 On that basis the trip was a success as I finished in the Top 30, (29th) and was the highest place Orlando golfer even beating tour Champ and housemate on the trip James Rearden. This event is more than Golf, it was fantastic to meet up again with friends from all over the states I had not seen since last years finals. This year I played with some great guys, particularly Tim who I played in rd1 and the final round. This is what Social Golf is all about, it would have been nice to finish higher but not to be, however we can but think of a return. James as usual was a fantastic companion and arranged the whole trip down to a fine detail, thanks mate.